Imagine if you could see a map of the city around you based on the photos that best represent the area. That’s the concept of Streetography, a brand new photography app for iOS launched this week. The app uses various sources of photo content, showing the map of the world around you seen through the lens of photographers who’ve explored the area before you. 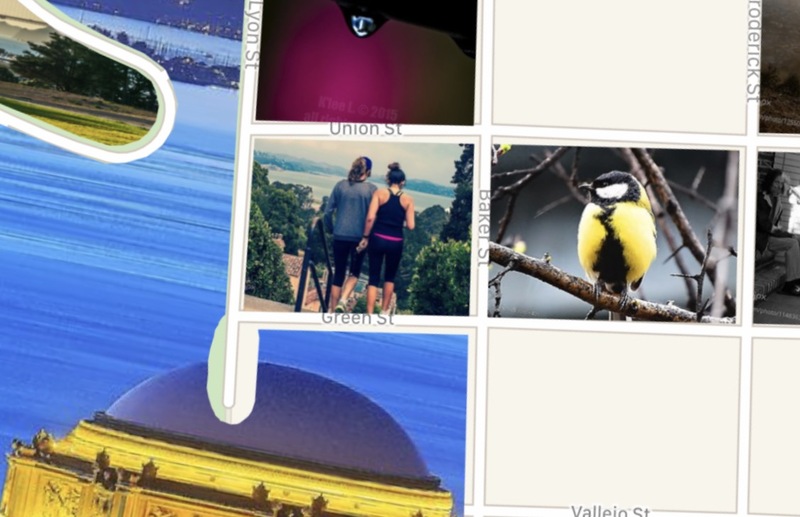 Browsing photos on a map is nothing new — it’s a feature that’s been available in a number of photo-sharing sites since the dawn of photo-sharing sites. Streetography’s new angle is to literally put the photos on the map. The main source of photos is 500px for now, but the company is hoping people will start sharing photos with it directly, as well. There are ways of filtering the photographs, including by date, by source (photos taken only by teenagers, for example) and others, too. The areas covered by the app are limited to English-language countries for now, but Lanza tells me the company is working to expand the coverage elsewhere. “Ultimately, we see location-specific advertising opportunities as our revenue model,” says Lanza. “After all, we know that people visiting a new city will also be in the market for food.” Obviously, it would also be possible to extend this technology to its logical conclusion, applying a filter to turn the whole app into a shopping exploration experience. It’s early days for the company, with a lot of opportunities in the pipeline. As someone who consumes a godawful amount of photography on a day-to-day basis, being able to browse around a map in this way is a refreshingly different way to explore neighborhoods. I can see how it is a good way to plan touristic endeavors, or just escape your day-to-day for a few moments.